Sunbelt EB-5 Regional Center Chief Executive Officer approached the Baptist Health System (BHS) Chief Executive Officer in mid 2010 to discuss the plans by Sunbelt to seek a designation of an EB-5 Regional Center to serve the healthcare industry sector and State of Alabama. 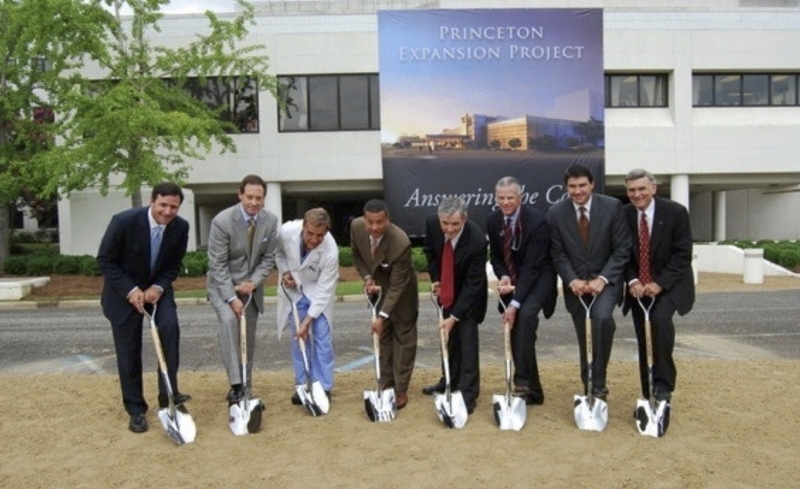 Sunbelt also at that time introduced the use of EB-5 funding for the BHS-Princeton Baptist Hospital Expansion of $57.6 million. BHS had secured a Certificate of Need (CON) through the State of Alabama State Health Planning and Development Board approving the Princeton Expansion Project Capital Expenditure and had concluded that the Project was consistent with the State Health Plan, was financially feasible, an there was a substantially unmet community need for the Project. After learning the benefits of using EB-5 investor funding for the $57.6 million Princeton Expansion Project, the BHS CEO requested that Sunbelt meet with the BHS financial leadership and we began those meetings in October, 2010. BHS immediately had interest in the EB-5 program and Sunbelt’s proposal to bring 50 EB-5 investors and $25 million of funding for the Princeton Expansion Project. Sunbelt offered an investment vehicle of a five year loan of $25 million which was accepted in November 2010 awaiting final approval of Sunbelt’s USCIS designation. Upon completion of the expansion in July 2013 and operation of the project, it is estimated that the project will create a significant amount of new jobs within the community.The completed project will also be critical in recruiting new physicians to the hospital, which is already planning to bring a new neurosurgeon and two cardiologists on board and is seeking neurologists as well. Spees said he hoped the Princeton Project would help allay fears of some in the community that the hospital planned to leave west Birmingham, fears that arose two years ago when Baptist applied to build a hospital in Hoover. “We’re not going anywhere,” he said. The project includes a new 90,000 square foot expansion of the West end of the hospital. The new space will replace six endoscopy rooms and 16 operation theaters built between the 1940s and 1966. A new main entrance, waiting area and admissions area will also be added to the hospital. The project also includes renovation of an additional 60,000 square feet to build a new chapel, transform the existing operating rooms to recovery rooms for surgical patients, and bring critical care units up to present safety codes.